Taking as his prime influence the piano style of New Orleans, a potent gumbo of Barrel House, Rhythm and Blues, Rock and Roll and Boogie Woogie, Diz "Honeybear" Watson is no one of it's quintessential exponents. This amalgam of style reached their apotheosis in the late 40's and early 50's with the playing of Archibald, Fats Domino, Huey "Piano" Smith and more contemporary musicians Dr. John and James Booker and the greatest of them all Professor Longhair A.K.A. 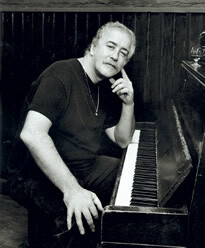 Henry Roland Byrd, he being Diz's heaviest inspiration. 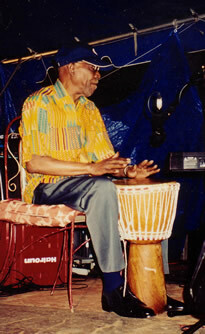 Diz was born in Port Elizabeth, South Africa in l948, and at the age of 12 the family moved back to Yorkshire, England. Diz formed a friendship with the legendary "Champion" Jack Dupree, who had settled in Halifax a town not far away. "Jack really inspired me to the more prehistoric rolling sound of the piano and also the way to phrase the blues poetry." When he left school Diz joined the Merchant Navy as a navigator travelling the globe. Five years later he settled in Plymouth where he studied the piano, having watched his mother playing years before. 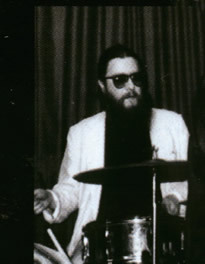 Diz perfected his style in various combo's, Juice on the Loose, The Barrel House Shufflers before forming the Doormen, a flexible entity, the nucleus of which was the great Kieran O'Connor; drums, Pete Scott,' bass and Pete Thomas; saxophone. Throughout the early 80's the band performed with many artists such as Alexis Korner, Clarence "Frogman" Henry, Big Jay McNeely, Chas and Dave and opened for the Rolling Stones at the request of Ian Stuart (piano man and road manager for The Stones). In 1983 the band became temporarily 'Dr John and the night trippers" when they toured the UK and headlined the Glastonbury C.N.D. Festival with Dr John culminating in a live album called Such a Night, recorded at the Albany Empire, London, for Spindrift Records. Before disappearing to Europe in 1985,another album Rhumbalero was recorded for Ace Records, using a smaller line-up, more of a showcase for Diz. Since Then Diz has heen living in Europe and making the occasional visit to the Caribbean & the U.S A. and he is now making quite a name lor himself in Ireland, "they like the humour" Says Diz, "especially when I do some of those old Cousin Joe tunes like Juice on the Loose and Evolution"